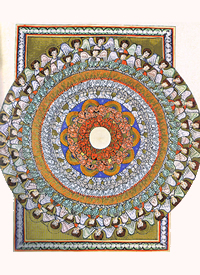 The final concert of the season centers on Hildegard von Bingen, 12th century visionary, composer, author, philosopher, and healer whose music and poetry are as inspiring today as they were in her own time. This program will feature her music as well as music by modern composers who were inspired to set her poetry. Selections will include Frank Ferko's ravishing "Hildegard Motets" and virtuosic works by Robert Kyr, Naomi Stephan and Tarik O'Regan.